Today, antique and vintage engagement rings are becoming more common as women differentiate from the norm. But you may face some difficulties when purchasing an engagement ring from a different era. Here are five tips to focus on when buying vintage engagement rings to help you find the perfect fit for you. Before you start shopping, it is important to note the difference between vintage and antique, as this may alter your purchase. An antique engagement ring was previously owned and made over 100 years ago. This might include the Edwardian, Art Deco, Georgian and Victorian eras. If a ring is second-hand but less than 100 years old, it is classified as vintage. Finally, vintage-inspired engagement rings, means they were not previously owned, but inspired by a different era. Which will you choose? If you are purchasing a diamond engagement ring, then always consider the 4 Cs: cut, clarity, colour and carat. Many vintage engagement rings include diamonds in yellow or pink tints, and stones cut by hand, rather than the modern laser technology, at Jewels of the Kimberley they can take inspiration from vintage or pre loved rings using new, vintage or antique cut diamonds. The 4 Cs are always the first step, before deciding the setting and metal preference. Diamond certification is very important when it comes to authenticity, as you want to know exactly what you are buying. Certification is also beneficial for insurance enquiries, if you insure the ring and something unfortunate happens. The final, and perhaps most important step, is ensuring the ring is in good condition. Because vintage engagement rings are second-hand, it always helps to check and ask questions when it comes to the ring’s condition. Consulting a jeweller to remake the vintage ring of your dreams will ensure you get the look you love, and the added security of a well set diamond. Antique (and most vintage) rings should be purchased with information on when the ring was created. Getting all the information and ensuring the ring’s quality will make you feel much better about the final decision. 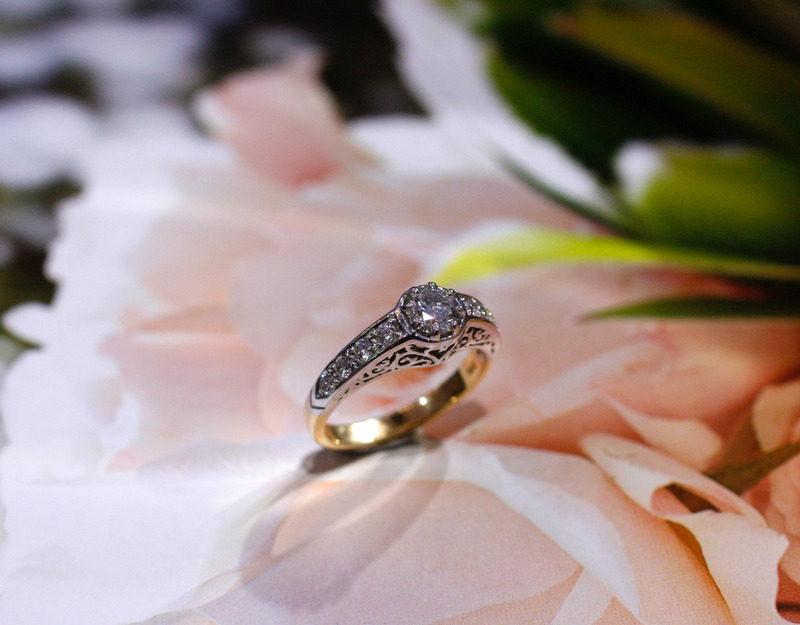 Vintage style and antique engagement rings are not only beautiful, but they will always have a story behind them. All you have to do is follow these five steps when purchasing your engagement ring. The experienced team at Jewels of the Kimberley are here to help you find or create your perfect match.